OK, it would be short-sighted of me to profess that the only reason to use a cut throat razor is for the macho feeling that accompanies it, but it is certainly an added bonus. 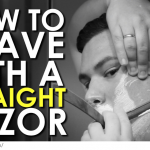 Nobody can really criticize you or think you weird upon finding out that you shave the old fashioned way, if they do, you can just drop the “manliness” card firmly in their lap. 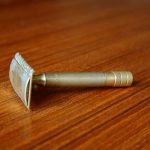 Still, like I said, it is not just for renewed respect from yourself and your peers that you should consider replacing your not-so-manly cartridge “safety” razor, there are in fact numerous advantages to be had. I know, the latest ‘cartridge’ razor manufacturer’s advert said that their newest product provides the closest shave ever. 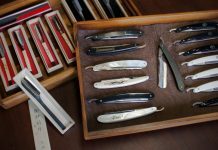 How can it be possible that the older straight razors can provide a superior shave? Quite simply, because they do. It makes sense really. Cut throat razors of the past were designed to last forever. You would need to sharpen them two or three times a year, but that was it. Modern razor cartridges on the other hand are designed to last for about 14 shaves. Not exactly the same. THERE’S NO WAY THAT A PIECE OF METAL WHICH GOES BLUNT AFTER 14 USES IS EVER GOING TO BE SUPERIOR TO SOMETHING THAT STAYS SHARP FOR 6 MONTHS. When you are shaving with a blade that has a super sharp edge, it doesn’t matter whether it is competing with a Mach3, 4, 5, or however many blades they stick in one of those cartridges, it is always going to come out on top. Not only that, but because you are running the blade against your skin fewer times, you are less likely to irritate it, less likely to cut yourself (ironically), and less likely to get patches of stubble that you’ve missed. I’m not going to go into a lot of detail for electric razors. Very few people believe them to be worthwhile. They are definitely responsible for a lot of razor burn and skin irritation, and do not provide a decent shave at all. They might be “convenient”, but I have never enjoyed them for one second. They are also mainly for people who don’t want to keep buying replacement blades for a normal razor. Which brings me onto the next point…. 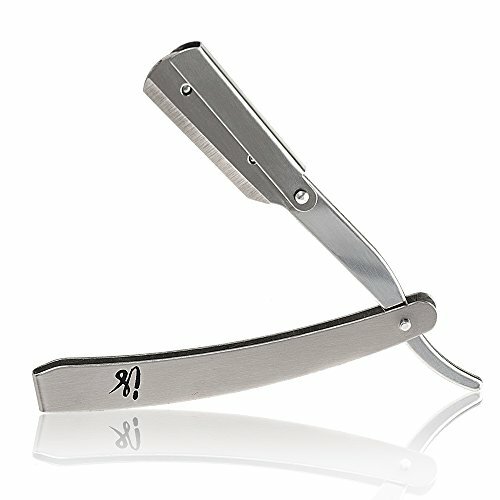 Back when I used a regular razor, I hated how quickly I found myself needing to buy more blades, how expensive they always seemed in comparison to what you got, and how I was being ripped off. I’m glad that expense is crossed off the list. It’s not like I couldn’t afford it, I just always felt it was really unnecessary. 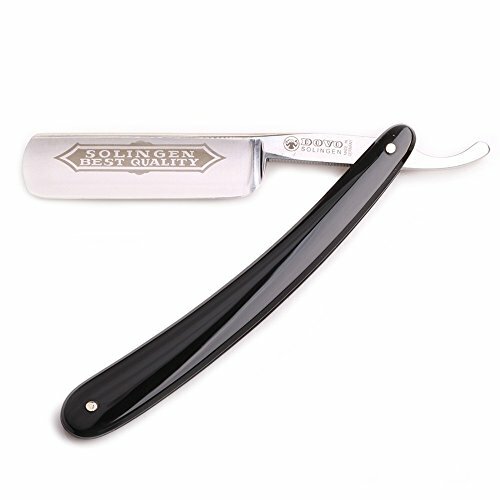 With a straight razor, after the initial expenses of purchasing the lovely thing, there isn’t much else you need worry about. You’ll need a few tools to maintain it of course, but again, these should be one off purchases. Let’s take a look at the potential. For the sake of my own comparison, I’m going to be using the Gillette Fusion standard blades. This is what I used to use. I imagine a lot of you are using more expensive blades now, so this may be a slightly conservative comparison. Cartridges: $39.99 per 8 cartridges. Now, one pack of 8 cartridges usually lasts me about 2 months, so we are looking at $170+ per year. It adds up! And this is only for a cheap basic Fusion. If you are using one of the newer razors, you are looking at almost double that. 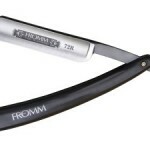 Compare that with a top-end straight razor. Most people won’t start out with a top-end one though, but let’s take a look. Yearly expense after that =$40 if you use a honing service, or $0 if you learn to hone it yourself. 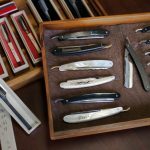 Like driving, washing-up, or similar routine tasks, shaving with a straight razor can be very meditative. 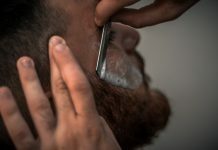 The concentration and focus required to perform a decent shave without cutting yourself means that once you have become used to it, you will be able to “drift-off” and ponder your troubles while starting your manly day. 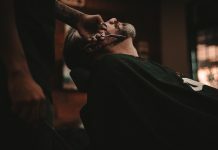 The satisfaction with performing a clean shave every morning, coupled with the above meditative affects, means that you will soon start to regard shaving as an enjoyable pastime, something that you can look forward to, instead of a routine or chore that needs to be done every day. 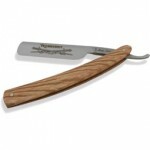 Incidentally, a straight razor is so sharp that you will only need to shave every other day as well. Added bonus. So let’s say I’ve convinced you to give it a try, congratulations, now where do you get started? 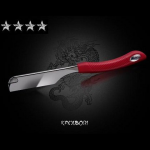 Most beginners wouldn’t want to just hop over to Amazon and buy the most expensive razor available, but they would also want to be sure to try a blade that is going to do their skin justice. You want to find a balance between cheap and ineffective, and overly expensive, at least in the trial stages. 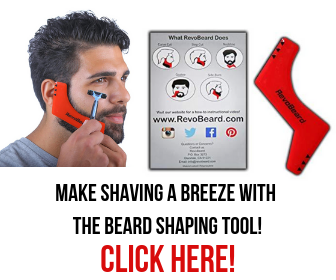 Therefore, I suggest you visit my page on buying straight razors to learn more. By the way, if you are thinking “Yes, but straight razors are more dangerous, more easy to cut yourself with, and take longer to use” I would disagree entirely with you. 1. They are not more dangerous if you use them properly, practice first. 3. They may take 5 or 10 minutes longer than your old razor, but you won’t need to shave everyday. 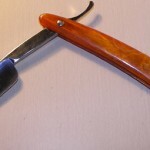 I believe straight razor shaving does have psychological benefits. I feel the equivalent of a caffeine shot right after a straight razor shave every morning. It wake me up and I’m ready for the day. Yeah definitely Rahul, there’s something very rewarding and Zen-like about it. I have a Gillette throw away and have not changed in 6 months…I sharen a least 2 go three times a week …so what you are saying is misleading ..
Sid, this article is for men, not adolescents. Come back when you actually have a beard. I agree with Kyle. I could make a cartridge razor last for two weeks, when I first started shaving at 18 or 19 yo. Then after a few years in the military I had to shave twice a day with cartridge razor in the morning and electric dry shave in the afternoon. I discovered straight razor shaving a few years ago and I’ve haven’t gone back to cartridges (only in the rare case when travelling without my razor or single blade safety razor). Now, with my straight razor, I am shaving every other day and it feels better. i bought a boker razor and a strop . I get a super clean smooth shave . I will no longer be a victim of disposable razor ripoff . Its actually fun and enjoyable now.